One of the most anticipated events in Santa Fe is the presentation of SITE Unseen. This fun and exciting fundraiser supports SITE Santa Fe’s vibrant exhibition program. With James Kelly as Honorary Event Chair, SITE Unseen has become an enormously successful event, especially among contemporary art collectors. Artists are asked to create and donate works on identical 5.5”x 8” boards. All pieces are signed on the verso and exhibited anonymously. Only when the works are purchased are the artists’ names revealed. Guests who want to be among the first to purchase artwork pay $100 for a preview ticket. Others are invited to come thereafter, admission-free, to participate in the exhilarating race to acquire art by nationally and internationally renowned artists. Share your SITE Unseen collection! 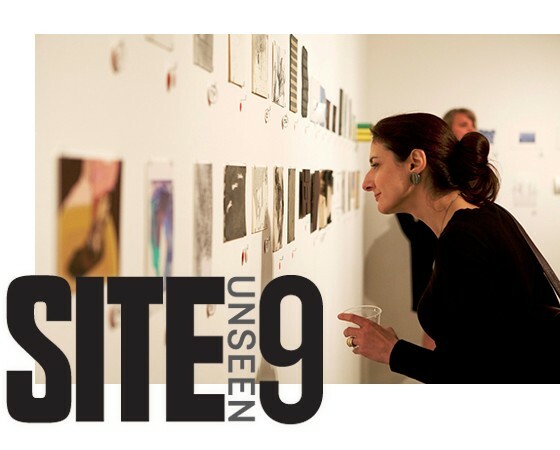 Get $50 off an artwork at SITE Unseen 9 when you send us a photo of your past SITE Unseen purchases! Email photos with the subject line: “My SITE Unseen Collection” by March 28 to Shelby Salmon at salmon@sitesantafe.org.